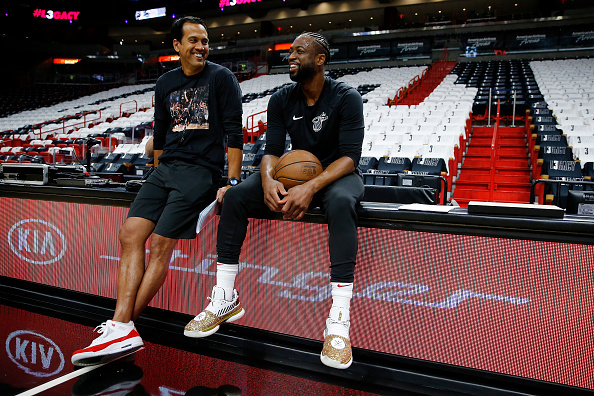 In celebration of the final home game of his 16-year NBA career, future NBA Hall of Famer Dwyane Wade took the court at American Airlines Arena in Miami on Tuesday night in two different Way of Wade 7s - both of which featured glittery detailing. 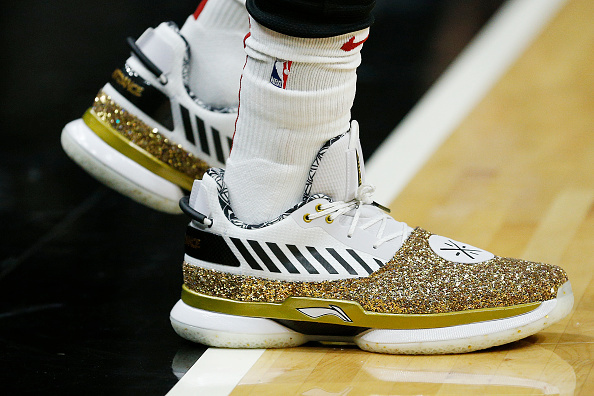 D-Wade started the game out in an exclusive white, black and gold Way of Wade 7 colorway, fully equipped with the eye-catching gold glitter. 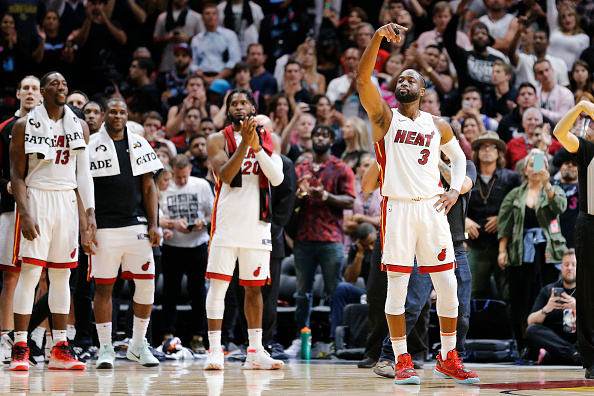 Wade, who finished with 30 points in Miami's 122-99 victory over the Philadelphia 76ers, later switched to a red and black version of the Way of Wade 7. 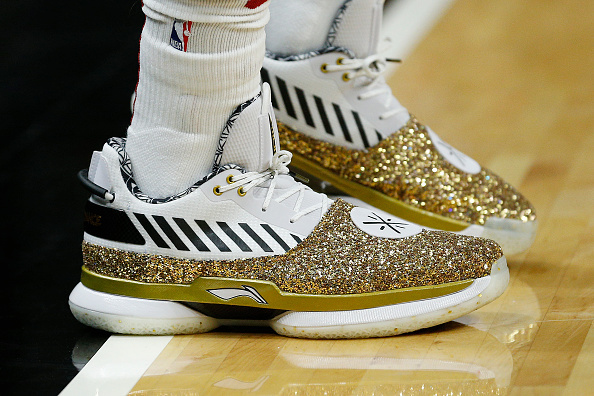 Like the gold PE, the red joint was decked out in glitter with Wade's #OneLastDance stamped on the heel. 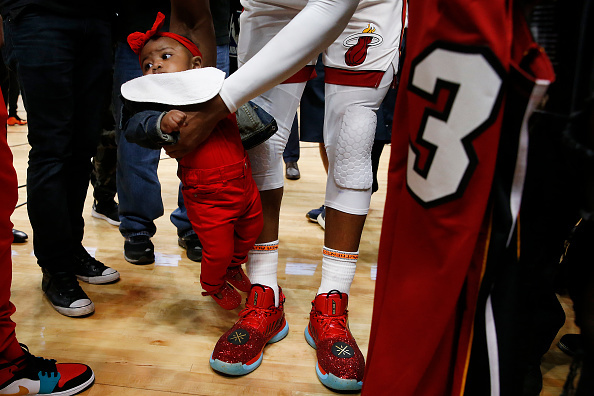 D-Wade will play the final game of his NBA career tonight in Brooklyn, and we'll keep you posted if he breaks out any more special edition sneakers. 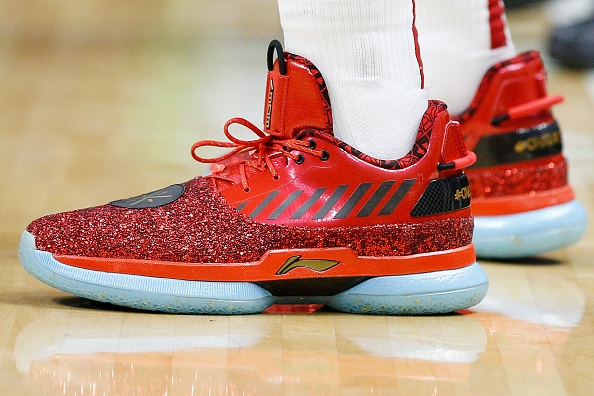 In the meantime, check out some official photos of last night's kicks below.